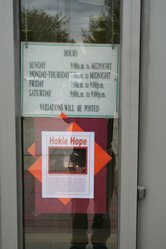 Hokie Hope sign at GMU. 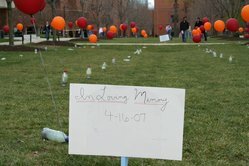 "In Loving Memory" sign at balloon memorial at GMU. 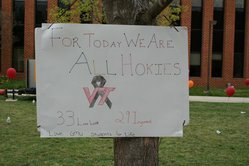 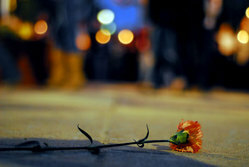 Last night, a vigil was held at George Mason for those lost in the terrible tragedy on Monday at Virginia Tech. 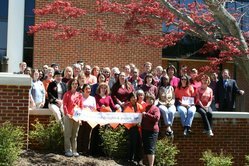 Statue of George Mason dressed in VT colors and t-shirt. 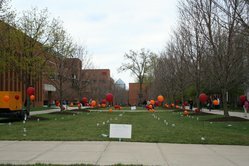 A vigil on Thursday April 19, 2007 was held on campus, directly behind the statue of Mason, to express unity with another VA university.